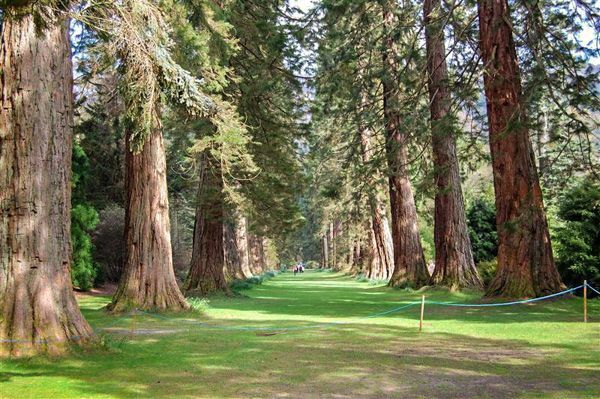 An outstation of Edinburgh's Royal Botanic Garden, Benmore, formerly the Younger Botanic Garden, features a magnificent collection of rhododendrons, and an avenue of giant redwoods, set around a Victorian mansion in the picturesque countryside of the Argyll Forest Park. In 1862 Piers Patrick bought the Benmore estate near Dunoon. The following year Patrick planted an avenue of Sierra Redwood trees, 50 in total. This avenue forms the foundation of the stunning botanic gardens we see today. In 1870 a wealthy sugar refiner and philanthropist named James Duncan purchased the property. 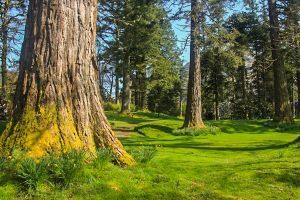 He built a gallery at Benmore House to display his collection of fine art, but he also set about improving the large grounds surrounding the house. One of his major projects was a fernery; a massive greenhouse set into the hillside, meant to house exotic plants. The fernery was built on 3 levels, with a vaulted entrance, and featured a pool and grotto. The fernery has been listed Grade B for its historic importance and its sheer scale. Above the fernery is the Tasmanian Ridge, with plants native to Tasmania. In the late 1800s a kitchen garden was built north east of Benmore House. This area was later converted into a formal garden, with over 200 plants, including dwarf conifers and other ornamental evergreens. Within the formal garden is Puck's Hut, designed by famed Scottish architect Sir Robert Lorimer to commemorate James Duncan, and tiled with red cedar from the estate. 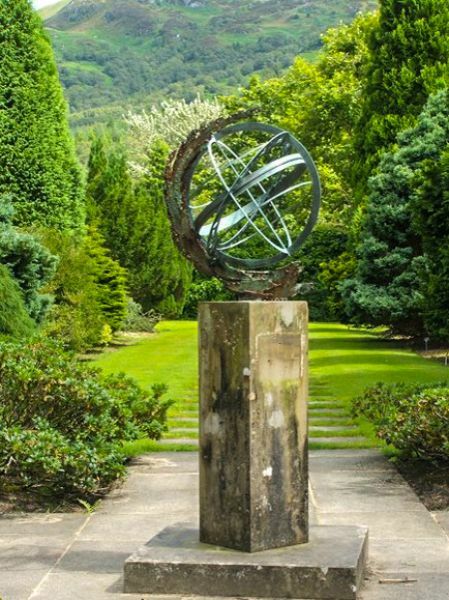 The garden highlights include a fernery, ponds, walled garden, waterfall, and hillside walks through attractive woodland, with views across Holy Loch. One of most recent areas to be planted is the Bhutan Glade, which manages to create 5 separate climate zones for exotic plants native to Bhutan. Another relatively recent addition is the Chilean Rainforest Glade, 15 acres of plants grow from plants collected in the wilds of Chile by RBGE staff. Many of the garden's plants were grown from seeds brought back by plant-hunters such as David Douglas and Ernest Wilson, who scoured the globe looking for unusual and exotic plants. 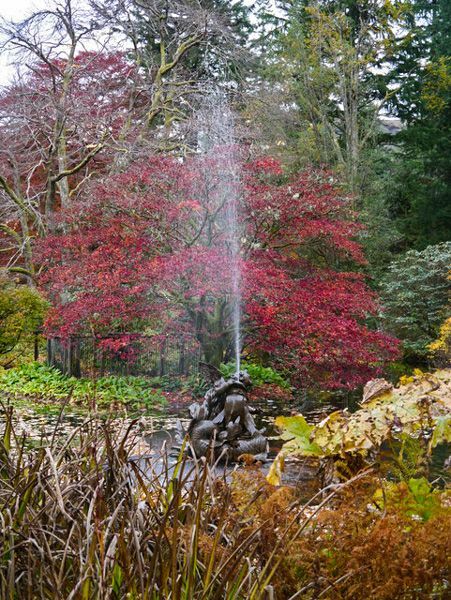 The gardens feature a wealth of flowering shrubs, including 300 different species of rhododendrons. The garden is home to more than 1/3 of the hardy conifer species in the world. That means there will always be something interesting to see, no matter what the season. The garden covers 120 acres, with a series of waymarked trails leading through the formal gardens to a viewpoint set at 450 feet. 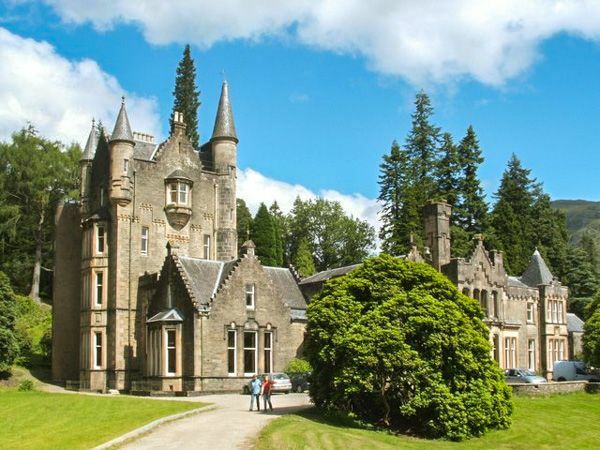 Benmore House is used as an outdoor education centre, and is not normally open to the public. The gardens are open from Spring through Summer, and there is an admission charge. Location: 7 miles north of Dunoon, on the A815. 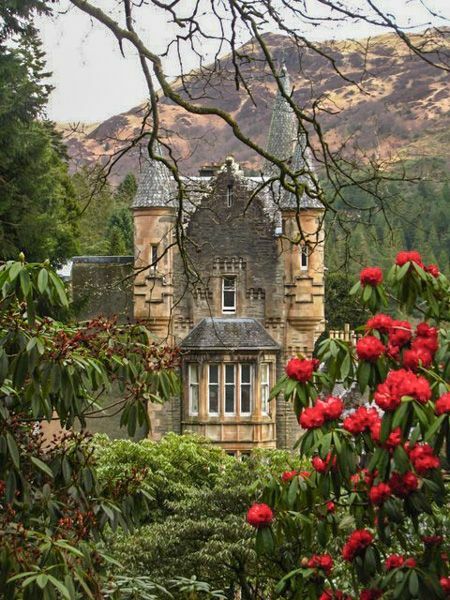 Nearby accommodation is calculated 'as the crow flies' from Benmore Botanic Gardens. 'Nearest' may involve a long drive up and down glens or, if you are near the coast, may include a ferry ride! Please check the property map to make sure the location is right for you.